Wedge wire is a unique screening and filtration material used in many industries. It is made by precisely welding V-shaped (or “wedge” shaped) profiles onto support profiles at set distances. The gaps between the wedges allow liquid to pass through, while anything too large is trapped on the other side. Unlike mesh, these gaps are continuous along the entire length of the filter. Because of the continuous gap, there are only two points of contact possible for particulates to get caught on. 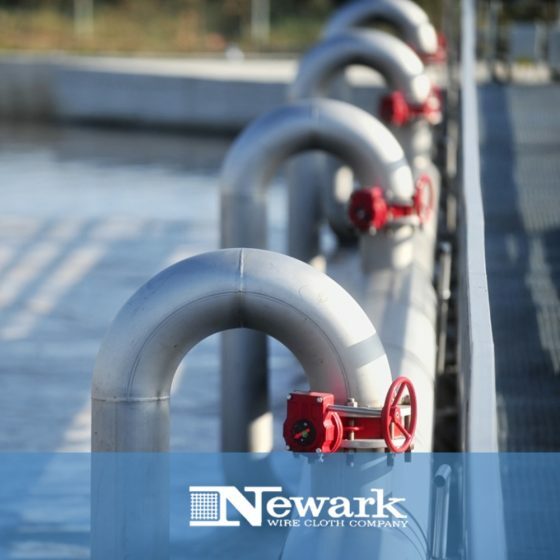 This minimizes clogging, and therefore, downtime at your facility. When cleaning is eventually needed, it is a quick and simple process. Backflushing will remove most particles, while stubborn ones can be scraped out with a wire brush or similar implement. This can greatly reduce downtime in your facility, save on labor costs, and keep things more sanitary than other forms of filters. This is important for many applications. It eliminates the randomness sometimes found in cheaper screens and allows for precise quality control. 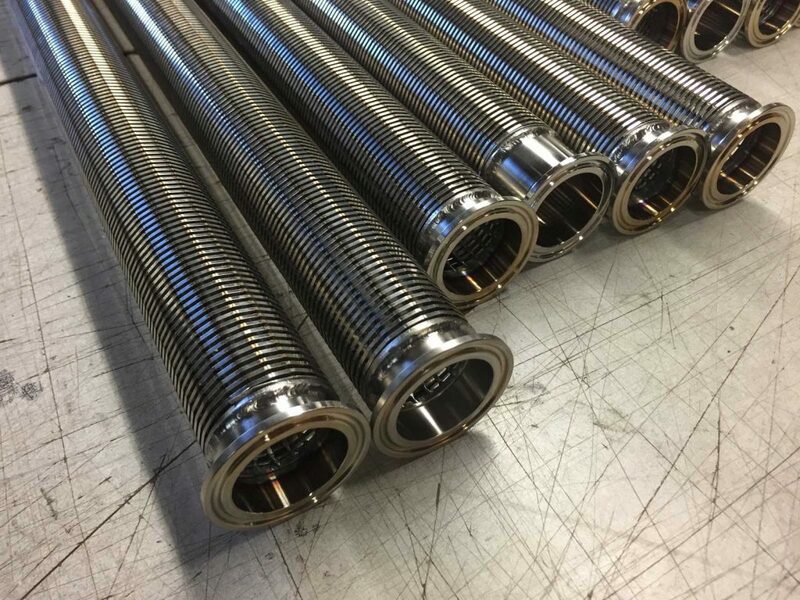 A wedge wire filter is said to be a brewer’s best friend, and many other industries rely on stainless steel wedge wire screen to be sure that there will be no contaminants in their products. In high-pressure environments or cases where tough particles may impact the screening, strength is important. 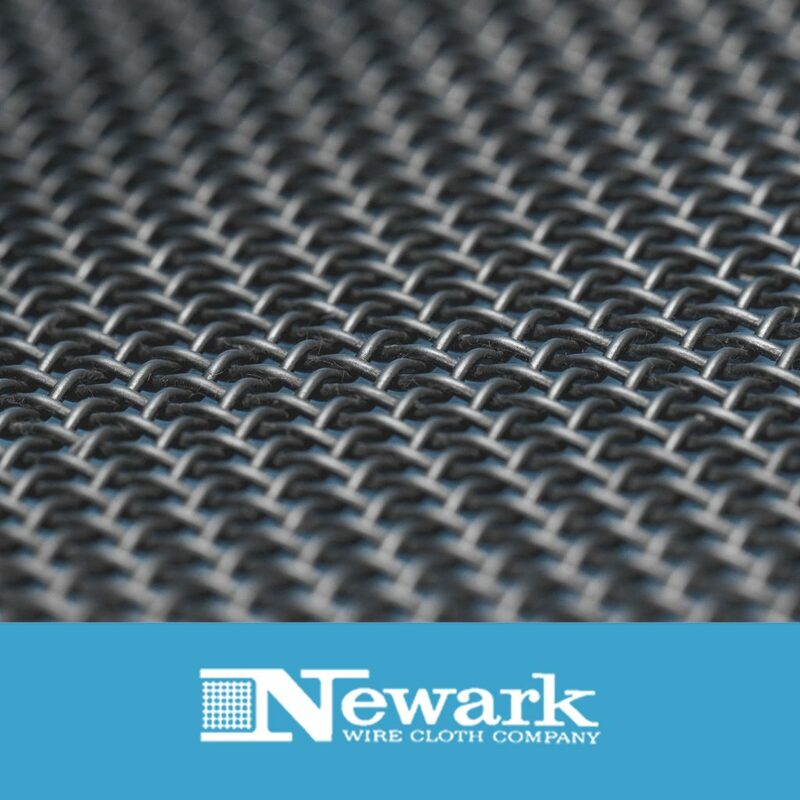 Since wedge wire screen panels are welded, they are far more able to resist damage from these and other stresses. They will also last longer in general since they are hard to deform. The efficiency-enhancing design of wedge wire means that there will be little pressure drop as liquids pass through. This is better for the rest of your system and allows for more material to be processed than would otherwise be possible. Stainless steel imparts no taste to the materials that pass through it. This makes it the perfect choice for flavor-critical products. Makers of beer, fruit juice, and other such products prefer it in part for this reason. Stainless steel wedge wire isn’t just for keeping drinks tasty. The tough, non-corroding properties make it popular among animal feed makers, fertilizer producers, and even mines and mineral processors. Since a wedge wire filter can be custom fabricated, you can get the exact gap size you need for any application. Just let us know your specifications, and we’ll do the rest. Wedge wire screen has been in use for many decades. This makes it so that you can count on it to be reliable, precise, and free of unwanted surprises. Wedge wire is easy to clean. This keeps downtime to a minimum and increases sanitation. Wedge wire filters are strong enough to handle harsh materials. Stainless steel wedge wire solutions are non-corroding and leave no aftertaste. Wedge wire is versatile enough to work in a large number of situations. These are just some of the seemingly countless benefits of using wedge wire screens. Their unique cylindrical construction allows them to do things that mesh screening simply cannot match. 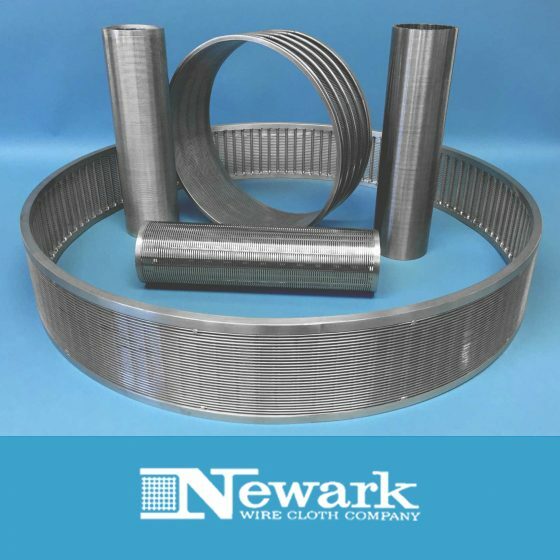 To upgrade your facility with new wedge wire filters, just contact us here at Newark Wire Cloth. 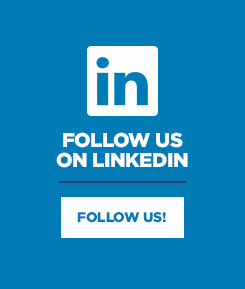 We’ll be glad to take care of all of your wire needs.If you prefer A3-certified sanitary wedge wire screen panels, give our subsidiary SaniClean Filters a call. 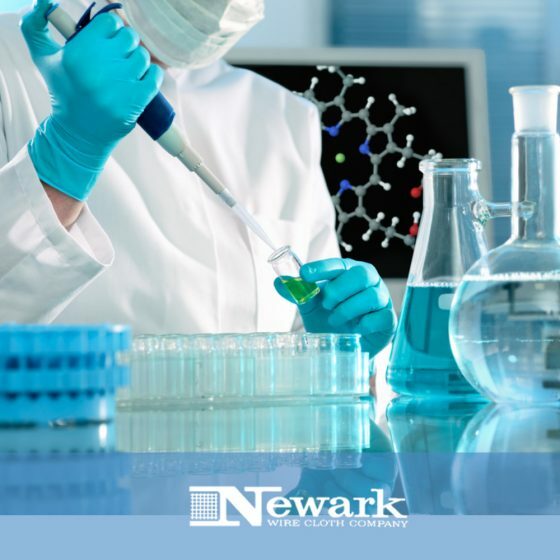 SaniClean produces a huge variety of A3-certified solutions for food, pharmaceutical, and other producers of products that have to be as clean as possible.